Energy ratings exist throughout Europe and consist of a certificate that gives your house a grade, on an A to G scale, much like your washing machine or fridge (A being the best). 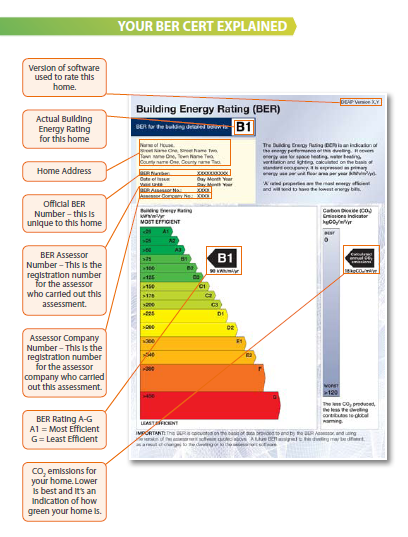 In ROI they’re called Building Energy Ratings (BER) and in NI, Energy Performance Certificates (EPC). The same methodology (in NI Standard Assessment Procedure, in ROI Dwelling Energy Assessment Procedure) is used to prove compliance with the energy efficiency requirements of the Building Regulations and to draw up energy ratings. 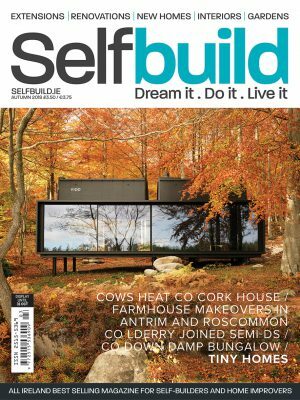 You must carry out an energy rating when you build your own house: you will need to get it done before you move in (ROI) or in NI, no later than five days after the build has been completed. In all of these cases you, the homeowner, are liable to pay for the cost of completing the assessment. In the case of extensions in NI and ROI you do not need an energy rating. However, there is an exception in NI which relates more so to developers, i.e. if the extension will result in creating separate dwellings. If so, an EPC must be carried out no later than five days after completion, by the person responsible for the works, i.e. the builder. In both jurisdictions you also need to get an energy rating drawn up if you sell or rent your house. The BER and EPC remain valid for 10 years, unless significant alterations have been made to the building. If you are in breach of your BER/EPC obligations, in ROI you could incur a fine of €5,000, in NI of £200. The person who carries out your energy rating must be on your jurisdiction’s official register. Note that in NI, only an OCEA (On Construction Energy Assessor) is allowed to produce the EPC on your new build, using SAP. 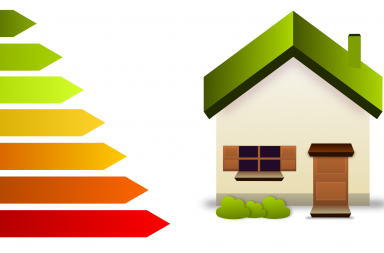 If you require an EPC for an existing house, you can get a cheaper and shorter test carried out by a DEA (Domestic Energy Assessor) who will use a simplified version of SAP called rdSAP. The rating always comes with a recommendation report on how to improve the grade, even if the home is newly built. 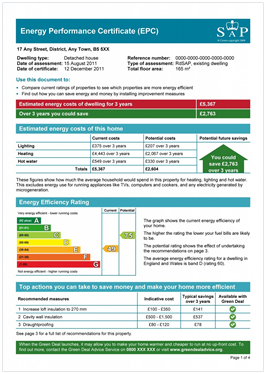 This is to make you aware of your home’s energy efficiency and what you can to do improve it; ultimately the authorities hope that A-rated properties will become more attractive to purchasers and builders. The rating measures how efficient a user of energy your house is, not how much it consumes. Think of the washing machine analogy, its ‘A’ rating won’t guarantee low electricity bills if you do five washes a day! The rating also largely relies on as-built drawings so if workmanship and quality control measures weren’t in place during construction you may, in practice, move into a home that doesn’t perform as well as the energy rating might lead you to believe. For an energy rating in NI, you can expect to pay in the order of £50 to £100 for an average dwelling whereas in ROI the prices can vary even more, starting at around €100 as the cost not only depends on the size/type of house but on how long it will take the assessor to reach your house, so think local! The procedure hasn’t changed since the regulations came in ten years ago; a site visit by the assessor should take about two hours for a three bed semi-d. The more documentation you can give him/her, the better, e.g. specification of your windows and heating system, design drawings showing walls/roof/floors sections, etc. Otherwise the assessor will plug in default values corresponding to the year of construction, which could lead to a poorer rating than the house deserves. The assessor has some 4 – 5 hours of work back in the office to calculate the outcome. In NI, for new builds the rating can be made off the plans unless the assessor has concerns about the data, in which case a site visit will be made. In ROI, the situation is different as the BER can no longer be done from the drawings (unless the house is purchased ‘off the plans’ but another on-site assessment will be required once the house has been built). Do I need to get an airtightness test done for the energy rating? An airtightness (‘blower door’) test may be done in order to verify compliance with the Building Regulations, but it is not essential for an energy rating. In ROI, to comply with the Building Regulations, you must conduct an airtightness test if your house is a new build, but not on an extension. This value will be used in the BER calculation (the minimum requirement is 7m3/h.m2 at 50Pa). In NI, to prove compliance you can input a default value of 15m3/h.m2 at 50Pa. However, if the SAP software indicates you will not meet the required standard in the regulations then you will have to do an airtightness test, which should yield a significantly better figure and get you over the minimum regulatory requirement. 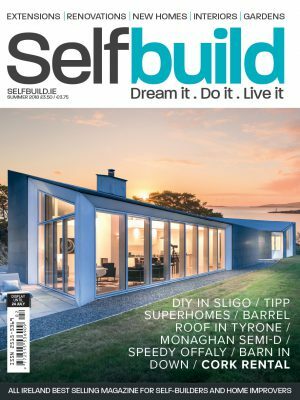 A prebuild energy rating is becoming increasingly common on self-builds as this report helps the designer devise a roadmap for both the builder and the homeowner on the type and level of insulation and airtightness required to comply with the Building Regulations. This has the added benefit of highlighting the expected final, mandatory energy rating you will at upon completion of the project. In order to qualify for a Better Energy Homes grant to retrofit insulation and/or heating on your home (built before 2006) then you will need to get a BER done upon completion of works. As part of the grants system, you can get €50 to go towards this cost.